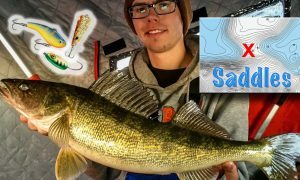 Record ice cat, MN ice duel, ‘Roid butterball perch! 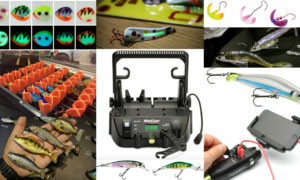 Welcome to the Ice Force IceBlaster, your 2x/week email with the best ice fishing info IN THE WORLD! Enjoy! Dale Blakley out-dueled a 52-lb flathead catfish after an hour-and-15-minute battle through the ice. Blakley’s fish measured 46.2″ and had a head bigger than a large medicine ball. …shattered the Michigan record of 49-13 set in 2012 on the Maple River. 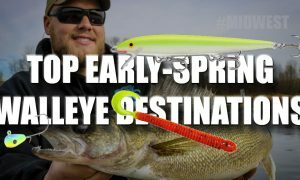 …an exceptional feat considering Blakley was using a 2-foot Frabill ice fishing rod with a small spinning reel spooled with “either 4- or 6-pound line.” He was fishing for bluegill. 2. Ice duel: Bro vs Haataja. 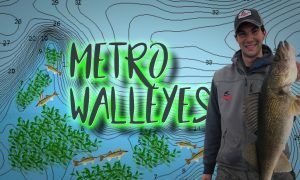 Ice legend Brian “Bro” Brosdahl and Milwaukee-based “North American Fisherman TV” host Eric Haataja are battling it out right now on MN’s Lake Winnie – in -25 temps! Each has a team of four random contest-winning dudes. Who’ll win? Both are mean ice sticks, but Winnie is Bro’s backyard…. Watch fer updates today here. 4. Running with scissors augers. Yikes! This is USER ERROR, folks, nothing to do with your auger…. Make sure both hands are on the auger powerhead when moving from hole to hole! And don’t even try this…! Props to Uncut Angling for the PSA. 1. MN: Ice Extravaganza this weekend! 24th annual on the 25th…Gull Lake. Will race you there! 2. Student holds derby to help friend. 3. IA ice derbies list. Giant bucks, Olympian wrassling, pigskin…ice fishin’, too. 4. ND: Devils Lake derby. Tix still available to compete for a new truck and other prizes. Cool vid from last year. Proceeds benefit the local fire dept. 5. MN: NAIFC on Chisago. Open qualifier on this Sunday, Jan 26. 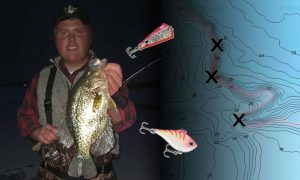 8 biggest crappies, 8 biggest sunfish. Registration to compete open ‘til 6 pm on Friday. $200 entry. Rumor has it current NAIFC champ Tony Boshold is sittin’ this one out! 8. NE: Cool ice map! 9. IL: Wounded heroes derby. 10. KS: Giant white crappies. 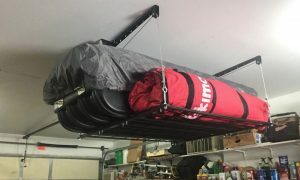 Slobs fo sho, but check ice conditions before you bug out. 1. MN: Lake of the Woods (South Shore). > Afternoon bite has been best lately. Now that the weather has evened out, the bite is getting better by the day. > Best fishing has been in 24-30′. 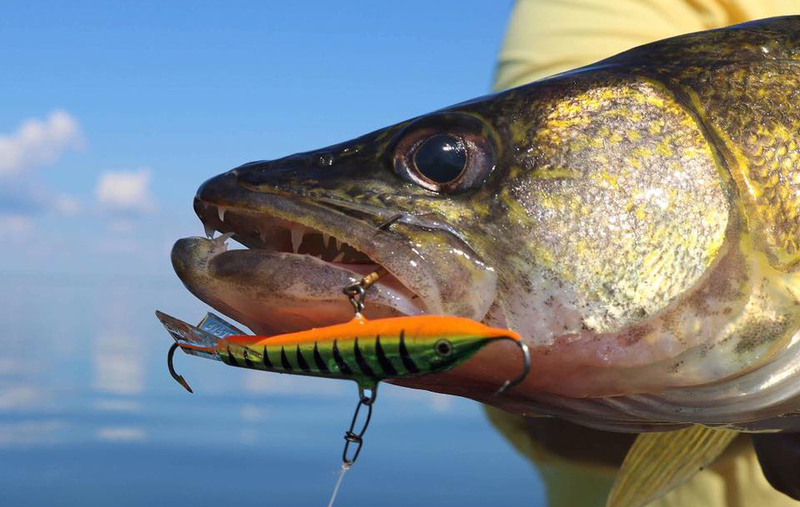 Lots of suspended fish, tend to be the slot and larger-sized walleyes. > Mid-season is upon us and that usually means more saugers. 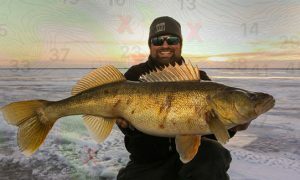 We are seeing a nice amount along with slot walleyes. > Best tackle has been pink stop signs and glow jigs. 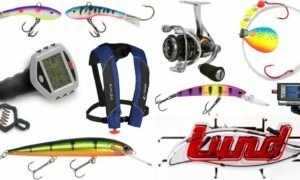 Some anglers are swearing by the minnow head and others the full minnow. 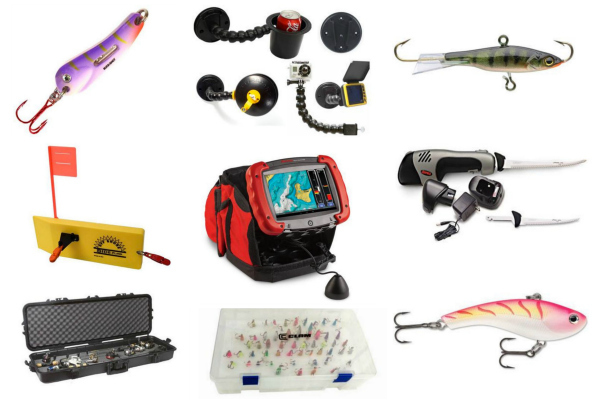 > Currently we have 28-30″ of ice in the areas we fish and travel. > Friday was great. Caught [a big perch] on a perch Lindy Darter in 6 feet of water along the edge of a road (rock). > We have 30″ of ice so it just goes to show that the fish will go where the feed is. 3. ND: Southern prairie lakes. > Fishing is hot. 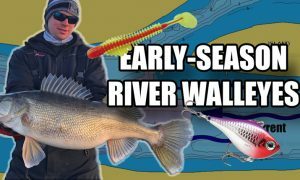 Walleye action is in 15’-18’ in the morning and evening. 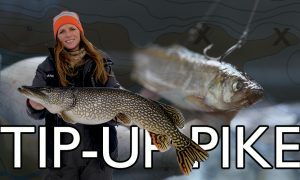 Good perch and northern pike action in 8’-10’ during the day, both jigging with spoons and tip-ups. 4. NY: Reports by region. > Last few weekends from the onion and north of the onion towards bayfield, we have been picking up large numbers of fish and a variety of species. 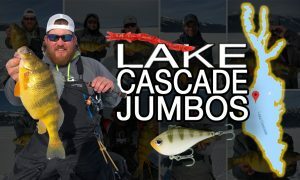 Browns, steelhead, whitefish, herring, LAKERS! 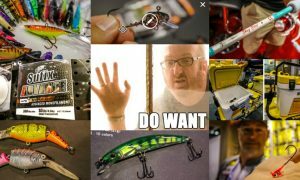 > 30-60′ and jigging ‘Pimples primarily. Ice has been cooperating quite very well so far so we are able to get out to deeper water. 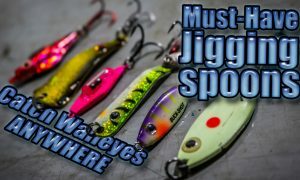 Dudes at Custom Jigs & Spins are givin’ away $50 in jigs, spoons and soft plastics! 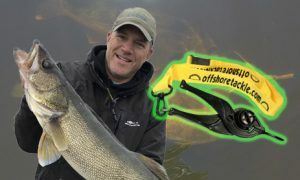 I’ve learned just how active bass can be under the ice, and that has helped me with fishing cold water everywhere. 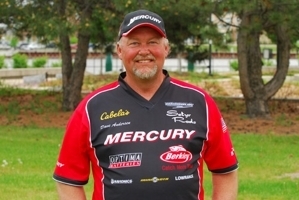 – MI’s Kevin VanDam, arguably the best tournament bass fisherman of all time. TV’s most popular fishin’ host Mark Zona can’t get enough…and is a BIG ice-head. Check this nice mess o’ ‘gills! GET OUT AND STAY OUT ICE-HEADS!